The Noscomed Aesthetic Institute is an exclusive programme of courses that gives treatment providers the opportunity to improve their knowledge and techniques in the aesthetic field. The courses focus on everything from injection technique, indications for injections, product reviews, anatomy and physiology to hands-on training. They are split from basic to advanced and are delivered by professional trainers. Do you want to register for one or more courses? Send an e-mail to event@noscomed.com containing your request. Afterwards you will recieve a registration link for the selected courses. 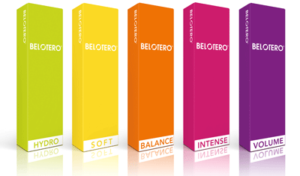 We offer four courses that gives you knowledge and experience with Belotero. The purpose of the course is to develop and expand the participants’ basic knowledge and practical skills with fillers and toxins. The course is directed towards healthcare professionals that legally are allowed to perform injections, but have limited or no experience with injection treatments. The purpose of the course is to advance and perfect the participants’ knowledge and practical skills with injections in the lower part of the face. The course is directed towards healthcare professionals that legally are allowed to perform injections and who have completed a basic injection course. The purpose of the course is to advance and perfect the participants’ knowledge and practical skills with injections in the upper part of the face. The course is directed towards healthcare professionals that legally are allowed to perform injections and who have completed a basic injection course. The purpose of the course is to develop and expand the participants’ basic knowledge and practical skills with lip corrections. The course is directed towards healthcare professionals that legally are allowed to perform injections with minimum 6 months of experience with filler injections. We offer a course that gives you knowledge and experience with Radiesse. The purpose of the course is to develop and expand the participants’ basic knowledge and practical skills with Radiesse. The course is directed towards healthcare professionals that legally are allowed to perform injections with Radiesse. Do you want more information about our courses and/or get a course schedule?